Our DaVita Medical Group Vascular Laboratory is committed to providing excellent patient care and quality testing for the diagnosis of vascular disease. 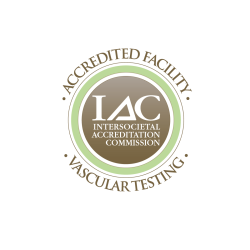 Our lab is staffed by Registered Vascular Technologists, and we are one of only three Vascular Labs in the state of New Mexico to achieve accreditation in four or more modalities from the Intersocietal Commission for the Accreditation of Vascular Laboratories. Please call for an appointment.